Posted in: Daily Posts. 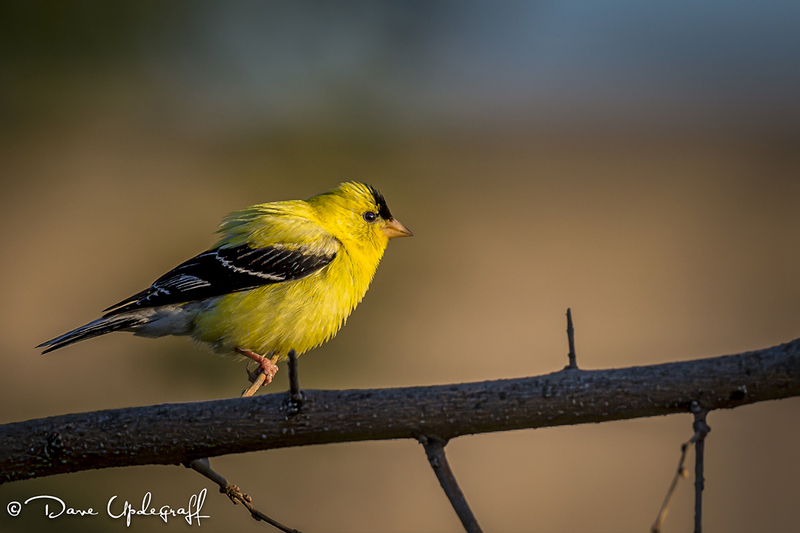 Tagged: Bird Photography, Cardinals, Gold Finch, Photography, Wildlife Photography. I decided to sit out on the patio last evening after dinner. The temperature was moderate and a light breeze made being outdoors and watching nature far more appealing than watching TV. I have scaled back on my bird feeding during the summer for several reasons. However I do keep fresh water in the bird bath and the birds love it. 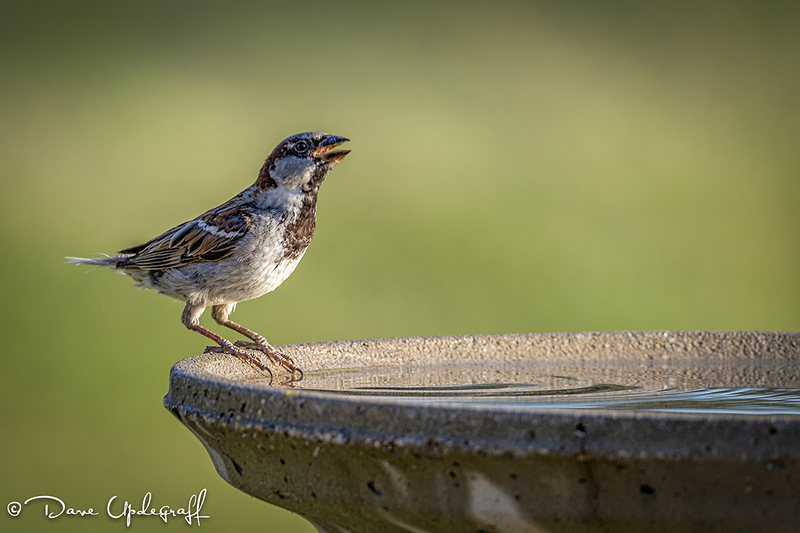 Usually if I’m sitting on the patio they won’t come to the bird bath so last night I sat close to the house behind some other chairs with my long lens and had a ball capturing bird images. I have not seen the Cardinal around for sometime. I saw him last night for the first time up by the trees. I was just about to call it a night when he showed up at the bird bath. 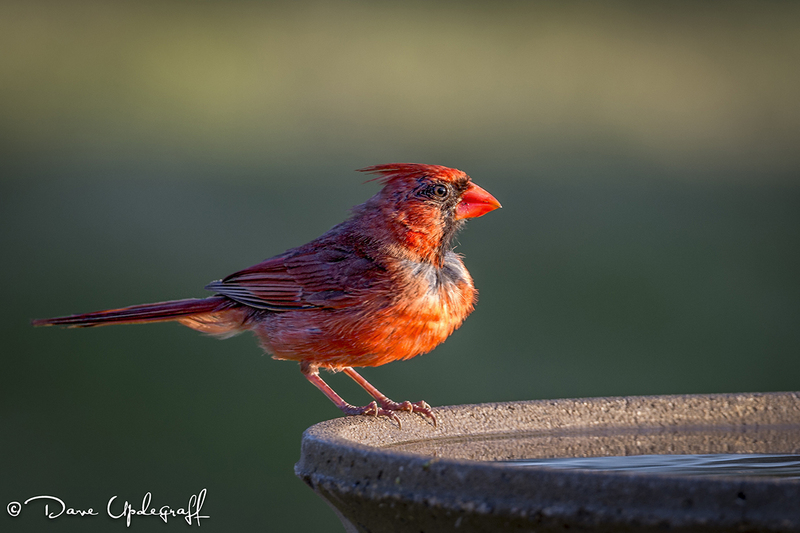 I have never seen him at the bird bath let alone photograph him there. It was a real treat for me. 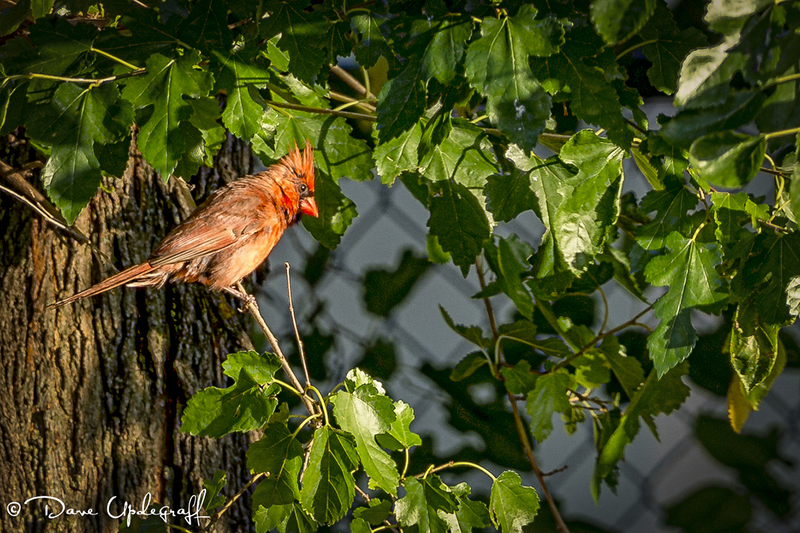 I always enjoy photographing a Cardinal and my friend Ron enjoys them a lot so I have a couple of images for you today Ron. The only feeder I still have out is the thistle feeder for the Gold Finches. They are such a pretty bird and I really enjoy watching them. So it was an enjoyable evening doing two of the things I really enjoy. Watching nature and taking photographs. I shot 474 images and culled those down to 67 keepers. There were actually more keepers but they were all of the same thing. I used the Nikon D4 (which will rip off 57 shots in nothing flat) fitted with the Sigma 150 – 600 mm lens at ISO 400 1/640 sec @ f6.5. That’s it for today. I hope you enjoyed the bird images. Thanks for stopping by the blog. Enjoy your day and be careful.